TrueNAS comes in a Flash-Assisted Hybrid or All-Flash Array to meet the needs of any enterprise workload and are powered by flash to turbocharge application I/O. 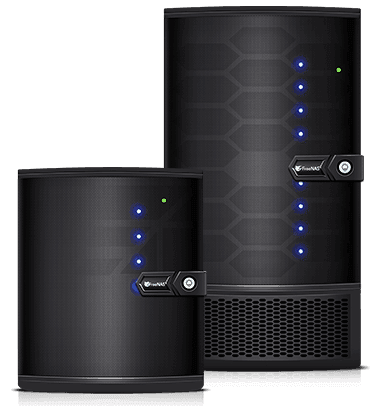 Both products are flash-powered, based on the world’s #1 software-defined storage, FreeNAS, and use OpenZFS. 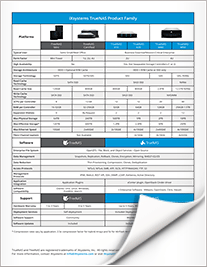 TrueNAS unifies SAN, NAS, and object protocols into one easy-to-use product. It reduces TCO with its easy-to-use management interface, award winning support, a self-healing file system, non-disruptive capacity and non-disruptive firmware upgrades, and includes cloud-ready enterprise-grade storage services that let you build a private cloud instead of using expensive cloud storage. For businesses with lighter workloads that don’t mind supporting their own systems but don’t want the hassle of with selecting, building, and configuring their own hardware, iXsystems provides a portfolio of FreeNAS Certified Servers that are ready to deploy. For the home and small office we created a desktop solution powered by FreeNAS that is powerful enough to support your file, block, and object needs in a compact and affordable form factor. iXsystems provides the ready-to-deploy FreeNAS Mini, which is unmatched by anything in its class. There’s nothing even close.